Great news for anyone who enjoys cogent film commentary: Todd McCarthy has a brand new gig. I must admit: I was already pretty dang geeked up for Jonah Hex after reading this nifty story by my Cowboys & Indians colleague David Hofstede. And that cast likely could convince me to pay first-run admission price for a group reading of the phone book. But this trailer... cowabunga. Of course, I particularly enjoyed the sly allusion to a classic scene in A Fistful of Dollars. Even as their parents fidget restlessly in their seats and cast yearning glances at wristwatches, small children easily amused by precocious animals and pratfalling grown-ups may have a dandy time with Furry Vengeance. But there's little hope that this broadly played, lamely written and overall overbearing comedy will corral many ticketbuyers old enough for solo jaunts to the megaplex. You can read my full Variety review here. On the occasion of the Criterion Collection release of Ang Lee's chronically under-rated Civil War drama, critic/historian Godfrey Cheshire offers some insightful commentary about Ride with the Devil , a film that deserved a much more enthusiastic response from critics and audiences when released more than a decade ago. As I wrote in my original 1999 review: "Once you get past Glory , Gone with the Wind and, arguably, Gettysburg , it’s difficult to think of many first-rate movies about the Civil War. Ride with the Devil may not rank as truly great cinema... but it’s an ambitious and intelligent effort that is altogether worthy of inclusion on a very short list." After reading Cheshire's comments, I'm very eager to give Lee's film another look -- especially since the Criterion edition reportedly contains some 13 minutes of newly restored footage. Lindsay Lohan's career continues its slow, sad spiral down the drain. The latest public humiliation: The New York Daily News reports Lohan has been booted from the cast of an indie film because she's not considered as "bankable" as co-stars Woody Harrelson, Alanis Morrissette and Giovanni Ribisi. And, mind you, she was cast in the first place only because the actress originally signed for her role, Brittany Murphy, died. Bummer. After spending nearly two years in post-production limbo due to financial and legal squabbles, The Perfect Game finally is stepping up to the plate for few theatrical innings. It's an unabashedly corny but occasionally stirring dramedy based on the true-life story of scrappy young baseball players from Mexico who, in 1957, scored an improbable string of successes while playing their way from a Monterrey sandlot to the Little League World Series. You can read my Variety review here. Free is good. Free movies are very good. And WorldFest/Houston has some very, very good news for serious cineastes: The Houston film festival -- now underway at the AMC Studio 30, 2949 Dunvale -- will expand its list of free attractions by offering two more freebies to local audiences this week. Freebie No. 1: Cré na Cille (Earth of the Churchyard), a supernatural Irish dark comedy (in Gaelic with English subtitles) about life, death and all things in between. During the 1940s in a small Connemara village, the jealous rivalry between two sisters continues long into the afterlife. Showtime: 5 p.m. Thursday. Freebie No. 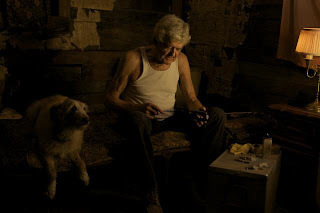 2: Love Life of a Gentle Coward, a Croatian comedy that takes to heart the advice given a frustrated wordsmith in Ernest Hemingway's A Moveable Feast: If you can't become a writer, become a critic. But the protagonist in Pavo Marinkovic's film -- a restaurant critic -- continues to be frustrated in his life and work until he takes a chance on love. Showtime: 5 p.m. Friday. "All you have to do," says WorldFest/Houston founder-director J. Hunter Todd, "is go up to the ticket booth in the lobby of the AMC Studio 30 before either film, and just ask for free tickets. It's that simple." J. Hunter Todd, the indefatigable founder-organizer of the WorldFest/Houston International Film Festival has hit upon a surefire way to attract moviegoers to two festival flicks: He’s giving away free tickets. That’s free as in nada, nothing and/or bupkis when it comes to the price of admission. Freebie No. 2: Journey to Mecca: In the Footsteps of Ibn Battuta, an award-winning IMAX film that merges drama and documentary while recounting the origins of the Hajj -- the 1,400-year-old ritual that calls for all Muslims to undertake at least one pilgrimage to Mecca to celebrate the prophet Abraham. Filmed on location in the deserts of Morocco and around the Ka'bah at Mecca in Saudi Arabia, and narrated by Sir Ben Kingsley, Journey to Mecca will be shown at 7 p.m. Friday, April 16, at the Houston Museum of Natural Science. We did mention these are free movies, right? 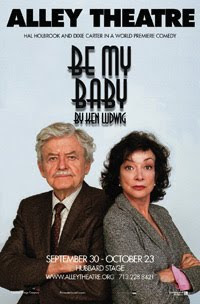 Condolences to the family and friends of Dixie Carter, the classy lady who memorably played Julia Sugarbaker in several seasons of the long-running sitcom Designing Women -- and, more recently, graced the stage at Houston's Alley Theatre with her husband, Hal Holbrook, in a very amusing trifle titled Be My Baby. She also appeared -- fleetingly but affectingly -- opposite Mr. Holbrook last year in That Evening Sun. She'll be missed. Are you ready for a scorchin’ slice of grrrl power? Then you’re part of the target audience for the R-rated rambunctiousness of The Runaways, writer-director Floria Sigismondi’s careening and compelling biopic about the mid-1970s all-girl band that smashed through the glass ceiling designed to dissuade young ladies from rocking like the bad boys. It’s not exactly a complete picture, since Sigismondi, for various reasons, focuses almost entirely on two members of the original Runaways ensemble: Joan Jett — the swaggeringly ambisexual singer-guitarist who continues to perform as an indefatigable hard-rocker — and Cherie Currie — the group’s lead singer who left the music industry years ago, and has more recently made her mark as (no kidding) a chainsaw sculptor -- are the featured players. But even if it’s not the whole story, The Runaways — based in part on a memoir by Currie , and executive produced by Jett — commands attention and stokes emotions. For that, much of the credit must go to its above-the-title lead performers: Twilight star Kristen Stewart, who makes all the right moves as Joan, and all-grown-up Dakota Fanning, who rocks the house and breaks your heart as Cherie. While promoting The Runaways — which opens today in Houston — Stewart and Fanning slowed down long enough to answer a few questions about indie moviemaking and rock ’n’ roll role-playing. You can read what they had to say here. Films from as far away as Slovakia, Singapore and Sri Lanka will be unspooled during the 2010 edition of the WorldFest/Houston International Film Festival. But this year’s fest — which runs Friday through April 18 at the AMC Studio 30 — also includes a fair share of American-made product, including five documentaries with Texas ties. You can read my preview story here. Yeah, I know: And the sun will come up tomorrow. But trust me: For some guys -- including, I'm embarrassed to say, some in my circle of acquaintances -- this actually will be a news flash. 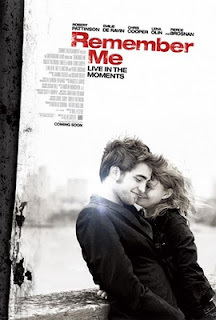 For quite a few reasons, I was pleasantly surprised -- and deeply affected -- by Remember Me, a drama starring Twilight heartthrob Robert Pattinson that I got around to seeing only yesterday, even though it opened weeks ago at theaters and drive-ins everywhere. Perhaps the biggest surprise -- for me, anyway -- was that I was surprised: Somehow, in an era when spoilers can be stumbled upon in any number of movie blogs and websites, I had managed to miss reading anything that gave me any idea about how the movie ended. The plot deals with an emotionally wounded son (Pattinson) of an aloof Wall Street lawyer (Pierce Brosnan), and his potentially redemptive relationship with a lovely classmate (Emilie de Ravin) who has endured a devastating tragedy. And really, that's all you should know about the film before you see it. Indeed, anyone teaching college courses in film criticism would do well to consider this class assignment: See Remember Me, then write a review -- favorable or otherwise -- that spills as few beans as possible. If students want to learn by example: Roger Ebert played very fair in his mixed review, duly noting his reservations about the surprise twist at the end while cleverly refraining from revealing much about what got twisted. But if you're of the opinion that any warning about a surprise twist is in and of itself a major spoiler, you might prefer the approach of USA Today critic Claudia Puig, who audcaiously decided to give her readers no hint of what might lie in store for them. Of course, it's possible to know that a surprise awaits you, and still wind up pretty seriously gobsmacked. I remember seing The Crying Game fairly early in its theatrical run -- but not quite early enough not to know that, at some point in the film, I would flabbergasted by an unexpected plot develpment. So when a key character was killed off, I found myself thinking: "Wow! Didn't see that coming! That was a surprise twist!" Which, of course, set me up to be really shocked a few scenes later when the rug and the floor got yanked from beneath my feet. Mark Landsman's spirited Thunder Soul offers a heaping helping of uplift while documenting the past triumphs and recent reunion of a predominantly black Houston high school's singularly accomplished jazz stage band. The movie is a celebration of that ensemble, a group of African-American teens from a high-risk neighborhood who, during the 1970s, won nationwide competitions -- and even released popular records, including a top seller titled "Texas Thunder Soul" -- under the guidance of their indefatigably inspiring teacher/bandleader. You can read my Variety review here. Jeanette Maier's real-life misadventures have been so borderline incredible -- she was busted by the FBI in 2001 for operating, with her mother, an upscale New Orleans bordello where she employed her daughter -- that she already has inspired a sensationally titled TV movie (The Madam's Family: The Truth About the Canal Street Brothel, which CBS aired in 2004 on -- no joke -- Halloween). In The Canal Street Madam, documentary filmmaker Cameron Yates pursues the story behind the story in a sympathetic account of Maier's life and crimes. You can read my Variety review here. Not so much an authoritative study as an avid fan's mash-up, American Grindhouse is a sprawling but amusing CliffsNotes-like history of various disreputable subgenres -- everything from nudie cuties to sci-fi cheapies, blaxploitation melodramas to blood-soaked splatter pics -- that define exploitation cinema. You can read my Variety review here. At least twice during The Ride, documentary filmmaker Meredith Danluck's behind-the-scenes look at competitors, entertainers and other participants on the Professional Bull Riders circuit, announcers warn cheering crowds: "This is not a rodeo!" No bull: The man-vs.-beast matchups depicted here appear to be, quite literally, death-defying encounters -- for the riders, if not the bucking bulls -- and even audiences who neither know nor care anything about the sport will be enthralled. Outside the arenas, however, pic often dawdles as Danluck spends too much time with some subjects, not enough with others. You can read my Variety review here.